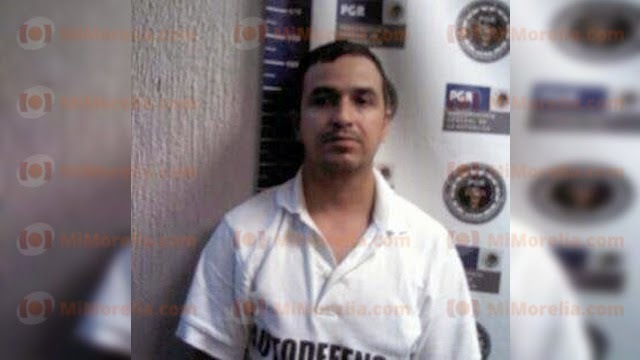 On Tuesday, September 30, Pablo Magaña Serrato, who uses aliases "La Morsa", "Tritón", and "M5", was arrested in the municipality of La Unión, Guerrero, along with eleven other individuals. A military patrol in the town of Lagunillas, located 12 miles from Zihuatanejo, passed a convey of suspicious vehicles and ordered them to halt. Upon stopping, the individuals claimed to be members of a self defense group. "La Morsa" is reported to be a high ranking member of Los Caballeros Templarios and a close associate of Servando "La Tuta" Gómez Martínez. His center of operations was in the city of Zitácuaro Michoacan, where he was head of plaza for La Familia Michoacana up until 2010. Following the arrest of José "Don Gato" Hilario López in April 2010, he began to rise in prominence in the organization that would later become Los Caballeros Templarios. He was sought for his alleged involvement in the attack against the Federal Police in Zitácuaro in July 2009, the killing of six federal agents on November 16, 2009, and the death of twelve federal police officers on June 14, 2010. A reward of three million pesos for information leading to his arrest has been offered by the Mexican government. It is worth noting that the area in which he was arrested is under the control of Alberto "El Gavilán" Bravo Barragan, a former member of Los Caballeros Templarios and his subordinate Adrian “El Tigre” Reyes Cadena, who is head of the Zihuatanejo plaza. They are said to now work for the Cártel de Jalisco Nueva Generación affiliated group Fuerza Guerrerense and apparently are associates of Los Viagras as well. While no reports have said so, I would not be surprised if it turns out that “La Morsa” is no longer a member of Los Caballeros Templarios due to this circumstantial evidence. Milenio esta reportando que agarraron al "H" de los BL. No tienen mas info? Are you sure that's a photo of La Morsa? That guy looks very different from the photo Proceso is showing. That photo looks a lot more like a crime boss to me. Especially since he isn't wearing an AD T-shirt. I think maybe MiMorelia.com screwed up. This vatos news report was stepped on by the report of Beltran-Leyvas capture! hahaha ya took his 5minutes of fame n turned into 1minute. With him wearing an Autodefensas shirt it would seem that CT doesn't operate with impunity, but rather as a bunch of cowards.